Are you looking to spend a cozy couples’ vacation on the Spanish island of Mallorca? 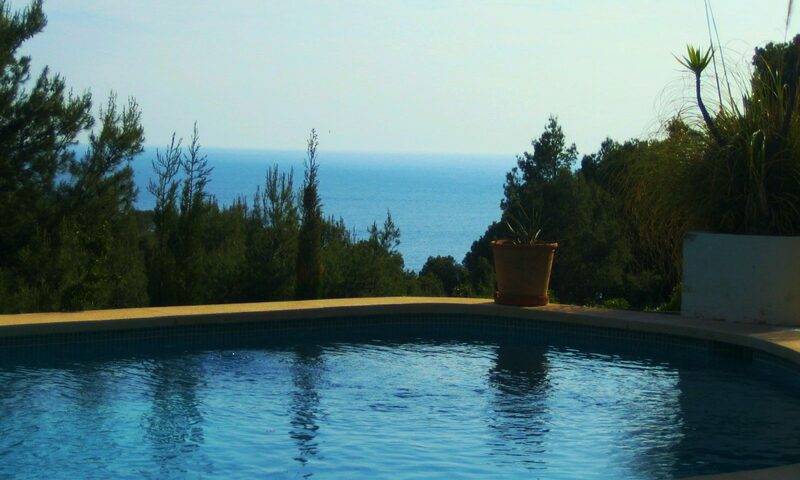 Then our vacation apartment on Mallorca is just the right place for you. Our apartment 3 in the apartment complex Casa del Sol has a roomy, open kitchen and living space as well as a separate bed room with built in closet that has enough space to stow away your personal belongings. The apartment accommodates 2 guests in the bed room and offers additional space for 2 more guests to sleep on a comfortable pull out sofa in the living room. The kitchen offers a small stove top and a fridge for basic cooking. The apartment complex offers everything you need for the island vacation. Enjoy a nice sunbath on your private patio, take a swim in the refreshing pool or enjoy the marvelous beach that is located within 3 minutes of the apartment. To relax our guests have a Finnish sauna at their availability. A wonderful view of the tropical garden and the goldfish pond awaits you from your patio. In this calendar you can see available dates for this apartment and when it is already booked (marked in blue). To reserve your stay in this apartment please contact Maximilian Siegmann by phone under +49 761 594726-30 or via mail at info@vermiete-fewo.de.